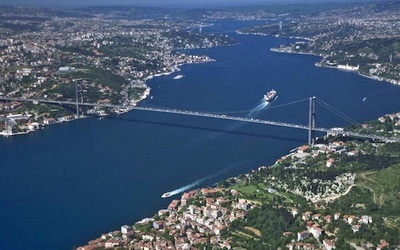 The Bosphorus (Bosporus) is a natural strait, which connects Black Sea on the North and Marmara Sea on the South with 31 Km in length.The depth of this natural strait varies from most shallow point 13 meters to deepest point 110 meters. Beginning of the Bosphorus starts with Rumeli & Anadolu Light Houses in the North & ends with Ahirkapi & Kadikoy Incirburnu lighthouses in the south. Considering it is the border of Europe and Asia , Bosphorus gives its uniqueness to Istanbul City. 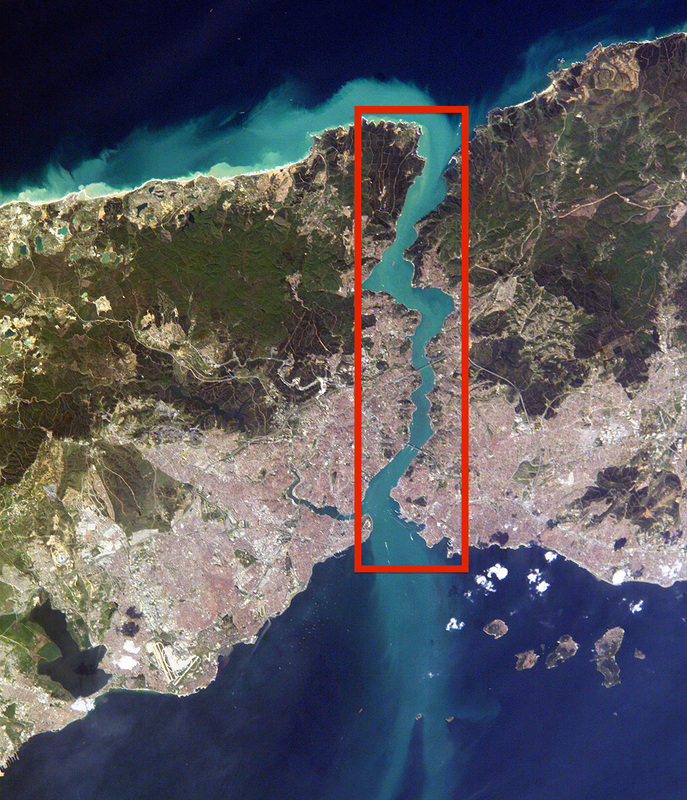 One of the reason that Istanbul called dream city is basically comes from this natural strait, as this is the only city that you can wake up in the Asia and can go to work in Europe at the same day. It sounds magical but it is the truth that majority of the Istanbul population lives in the Asian Part of the City and due general business districts located at Europe side, this unique dream comes true everyday. 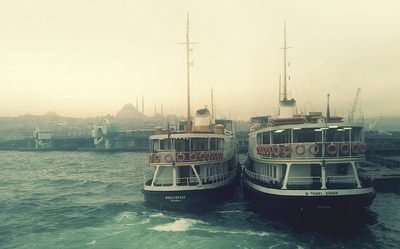 Today’s Istanbul offers many transportation options between Europe and Asia Including two suspension bridges (for Cars & Buses), under ground rail transport (Marmaray) , Public and Private Cruises with Sea Taxis. However local people mostly prefers cruise or rail transport due heavy traffic on the suspension bridges. 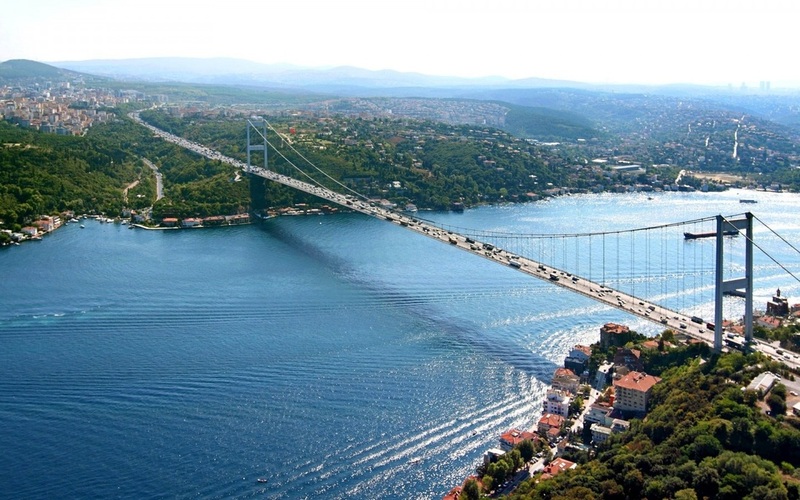 Unfortunately both suspension bridges (Bosphorus & Fatih Sultan Mehmet Bridge) are restricted to public access , as local people can not cross the bridge by walk. Reason of this restriction is caused due Bosphorus is the most beautiful view that you will want to see right before you close your eyes to this World. Many people attempted to suicide in the past years and some of them very rarely survived after jumping down from the Bosphorus Bridge. 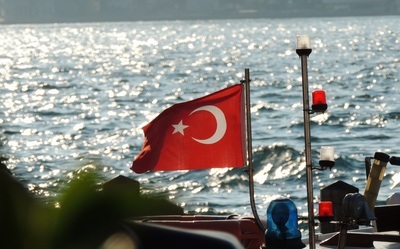 Besides it's amazing nature, Bosphorus is strategically important gateway for Trading & Navy ships to access Black Sea Countries such as Russia and Ukraine .Also Inversely connection to the Marmara Sea, which is connected to the Aegean Sea by the Dardanelles, and thereby to the Mediterranean Sea. If you ever come to Istanbul and pass by the coastal side of Marmara Sea, you may witness hundreds of ships are anchored and waiting. This is because of heavy ship traffic on the Bosphorus channel and bigger size ships (such as oil tank) should have guide boats to pass the strait.Guide boats are highly important as certain points of the Bosphorus has no enough depth to let big ships pass. Not only depth of the water, but also strong strait flows can cause a serious accidents. In the past years, Bosphorus has witnessed many accidents including ship accidents that crashed on the houses by the Bosphorus. For sure Istanbul is a big city located on two continents, therefore it is recommended to have Bosphorus tour first once you start your Holiday in Istanbul.The reason is, when you embark to cruise and go through Bosphorus Strait, you will easily understand the structure of this beautiful city where Asia and Europe, Old City and New City, Sultanahmet and Taksim located at. Maybe not from the air but you will overlook to the city from these beautiful strait waters. 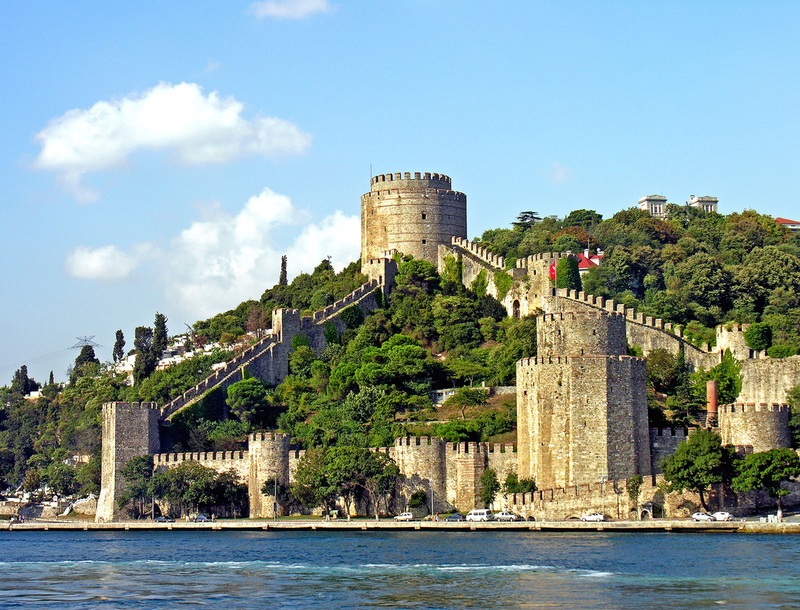 During your cruise trip on the Bosphorus, you will have a opportunity to see waterfront houses (yalı) , Castles and Palaces built by the time of Ottoman Empire such as Topkapi, Dolmabahce, Yildiz, Ciragan and Beylerbeyi Palaces. 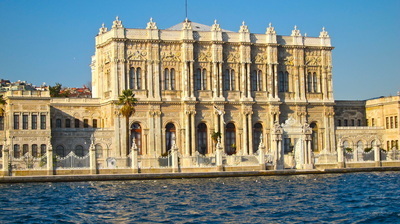 There is several ways to have Bosphorus Tour with Public or Private Cruises. However Public Cruise would be very complicated for the passengers, as there is many stops between Europe and Asia and it would be quite stressfull to find out port name to ensure you disembark at the right place. It is recommended by most of the guide books to take one way ferry and return back to origin of departure by bus. It would be a good idea but considering distance between the ports, you may need to spend your few hours in the Bus to get back to city in heavy traffic. If you buy return ticket on the Public Cruise, you will be forced to spend three hours in the village of Anadolu Kavagi. And unfortunately there is nothing much to do in three hours except waiting until next departure back to city centre. Easiest way to enjoy your Bosphorus Tour will be possible with dedicated Bosphorus Tour Cruises departs from Eminonu area. These private Cruises operates all day along with start and end points at the Eminonu area which is walking distance to Spice Bazaar (Egyptian Market). Tour lengths changes between 1-1,5 hours. Located between Ortakoy (on the European side) and Beylerbeyi (on the Asian side), the Bosphorus Bridge (Bogazici koprusu) is one of two suspension bridge spanning The Bosphorus Strait (Bogaz in Turkish) in Istanbul,Turkey. 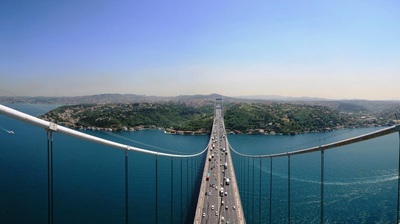 The fascinating Bosphorus Bridge is the main bridge constructed across the strait. Along with the second, the Fatih Sultan Mehmet Bridge and the ferry services, it is the one of the basic system of transportation linking two parts of the city. Bridge is a significant connection in the Turkish transportation network and is in use at every hour of the day. 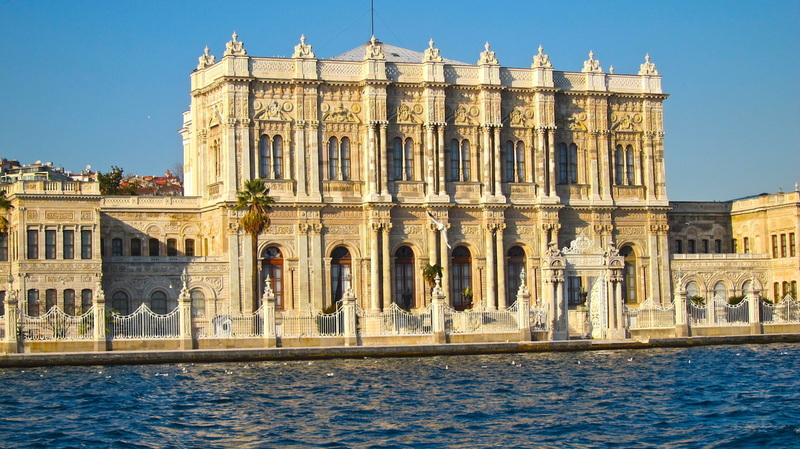 It is also a prominent place in the marathon organized every year by the GreatIstanbul Municipality (Istanbul Büyüksehir Belediyesi in Turkish). Except for those features, when it is looked at the idea to build a bridge dates from the past. So to learn more about ‘’The Bosphorus Bridge’’, let’s look at the reason of the idea to built a bridge. 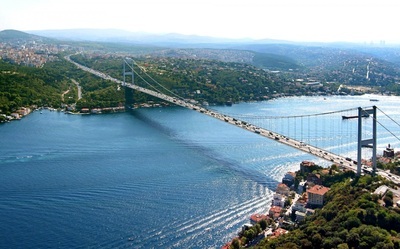 Due to increase in the traffic ,the idea to build a bridge was figured out in the Republic Time, then the people thought that Bosphorus Bridge had to be built immediately. Although the first critical attempt was made in 1953, this work didn’t to be concluded until 1969. The building of Bosphorus was delegated the English-German Company named ’’Hoctief-Cleveland’’ In 1969. Firstly the building of Bosphorus Bridge was contributed by Suleiman Demirel (president of the period) in 1970 but after three years (30 October 1973) it was completed with a magnificent ceremony. This glorious work cost two billion eighty million lira. Actually In the past it was tried to be built many times but failed. You can see If you read the story of it in the past. Firstly, In B.C 513, the Persian Emperor,’’Dara’’ made the bridge built by laying together the ships in same the place (a region between Anatolian Castle and Rumelian Castle). Eighty thousand soldiers was passed from that bridge to the opposite shore of it. Actually rather than a bridge, ıt was a crossing (a passage) made from the floating devices to be used to pass. The second, the Great Italian painter Leonardo da Vinci realized that the building of the bridge would to be helpful in a long time ago. Although he adviced about that offer to Sultan Bayezid II (Ottoman Sultan), his proposal was rejected because Sultan thought to construct his absolute authority upon Mediterranean and Black Sea. The last example; The steamboats which were run revived again the notion of bridging. The project of the bridge was prepared by ‘’Bosphorus Rail Road Company’’ by order of Sultan Abdulhamid II Han because of the fact that there was considerably begun to be needed militarily to the bosphorus. According to prepared project, the bosphorus bridge would be made from the wood with the tower , it would be illuminated at the nights and the railway would be passed over it. Today, the length of suspension bridge in the worldwide are determined according to distance between their foot. The distance of Bosphrous Bridge’ foot is 1070 meter. Therefore it is third in Europe and seventh in the worldwide among the others. The other magnificent bosphrous bridges are Humber Bridge in England (1410 m),Verrazona Bridge in New York (1298 m), Golden Gate in San Francisko (1280 m),Mackinac Bridge in Michigan (1158 m) and Miami Bionseto in Japan.